A new study suggests that flies carry a lot more diseases than we realize, with scientists finding hundreds of types of bacteria on them. 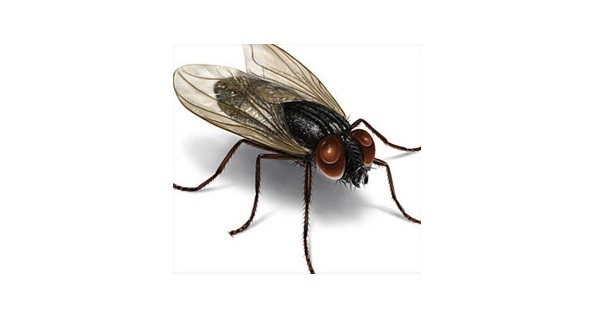 An alarming new report finds that the typical house fly may actually be even more germ-ridden than you realize. A DNA analysis of the house fly and the blowfy found more than 600 different bacteria, some of which lead to stomach bugs, pneumonia, and blood poisoning. Flies are good at spreading disease with their legs, wings, and feet, and are constantly transmitting the bacteria they carry. While we always knew that flies were capable of spreading pathogens, this study shows that tremendous extent that they do. Scientists used DNA sequencing techniques to study the microbes that are found on the house fly and blowfly. The house fly had 351 types of bacteria, while the blowfly carried 316. Both species of fly often carried the same bacteria.